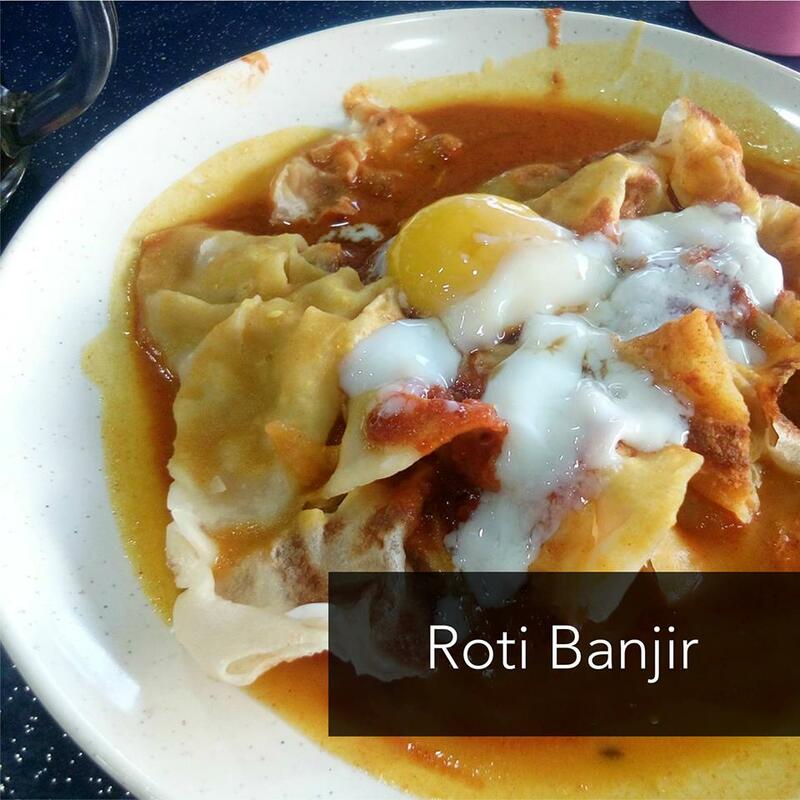 ROTI BANJIR - Roti kosong is shredded into bite-sized pieces and then completely flooded with curry or dhal. 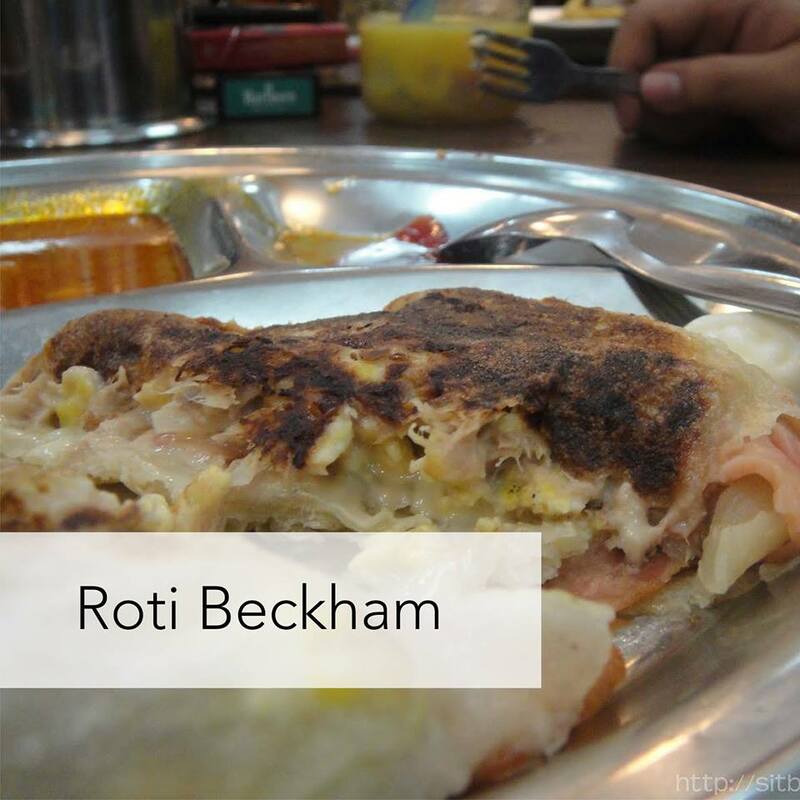 ROTI BECKHAM - Stuffed with tuna, eggs, cheese, and turkey slices topped with mayonnaise dressing. 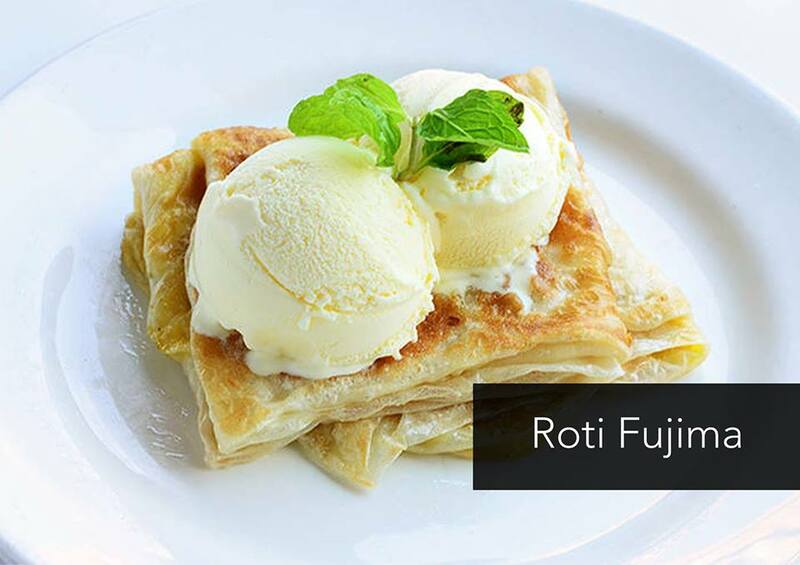 ROTI FUJIMA - Roti pisang is elevated to roti fujima simply by serving it in stacks of quartered roti poising topped with two scoops of ice-cream. 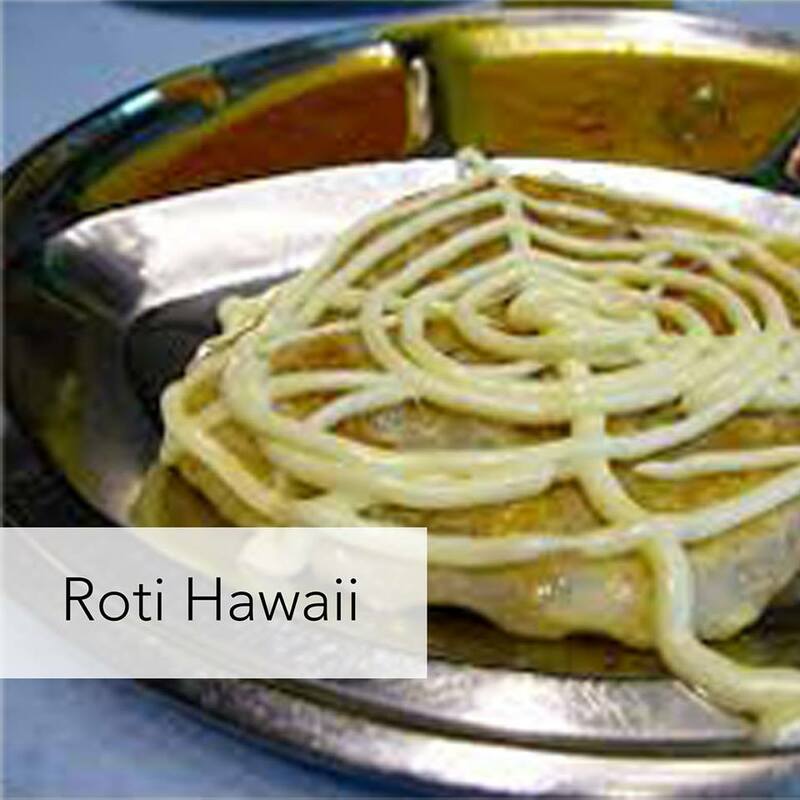 ROTI HAWAII - Roti kosong stuffed with either minced meat, cheese, sausages, and pineapple topped with mayonnaise dressing. 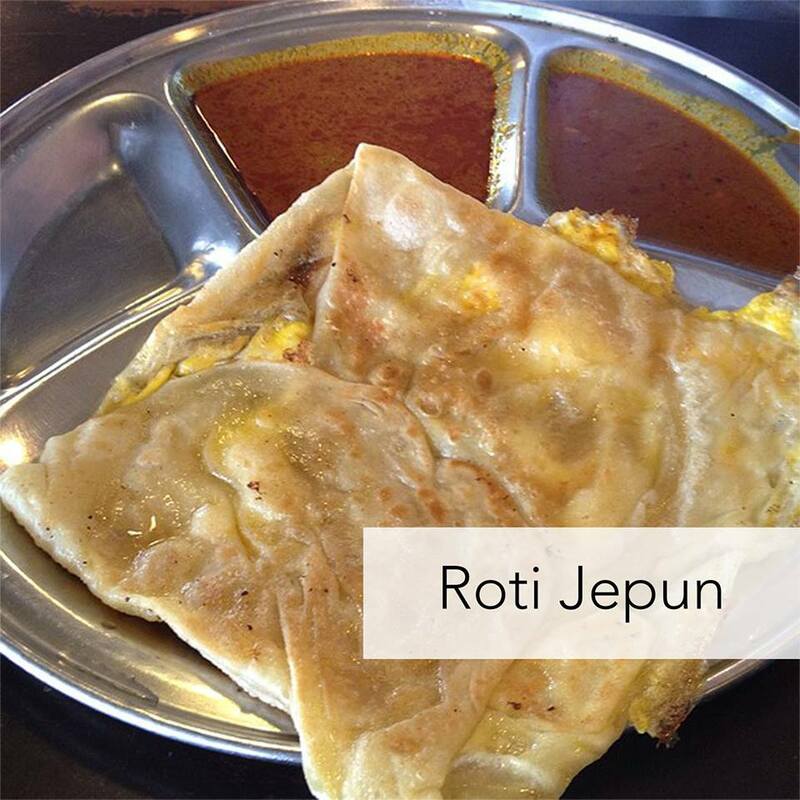 ROTI JEPUN - Similar to roti telur, except that the egg is plastered on the outside. 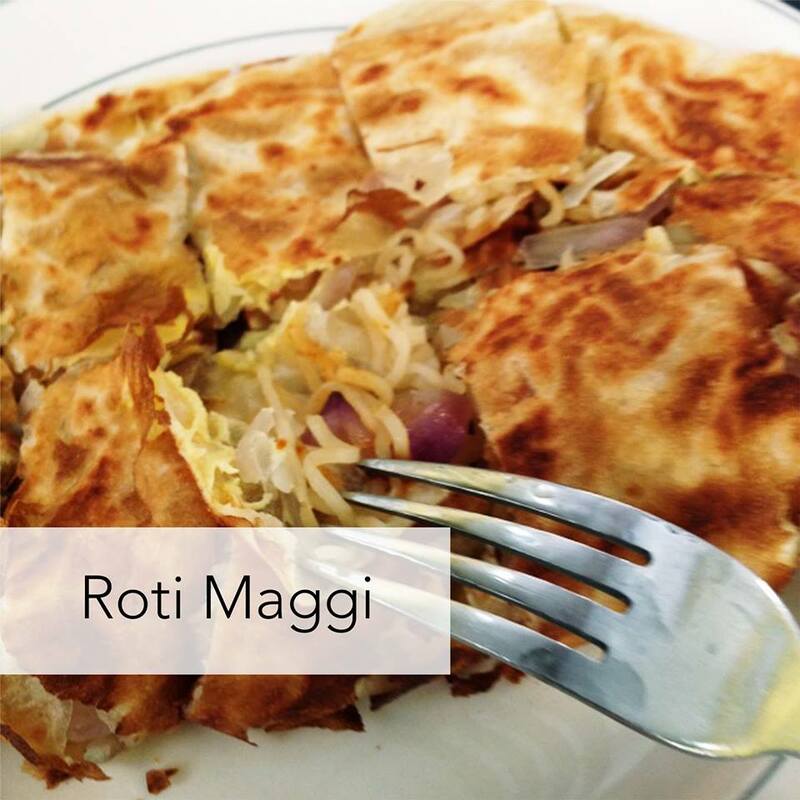 ROTI MAGGI - When you open up the magical roti kosong bag to discover Maggi goring within. 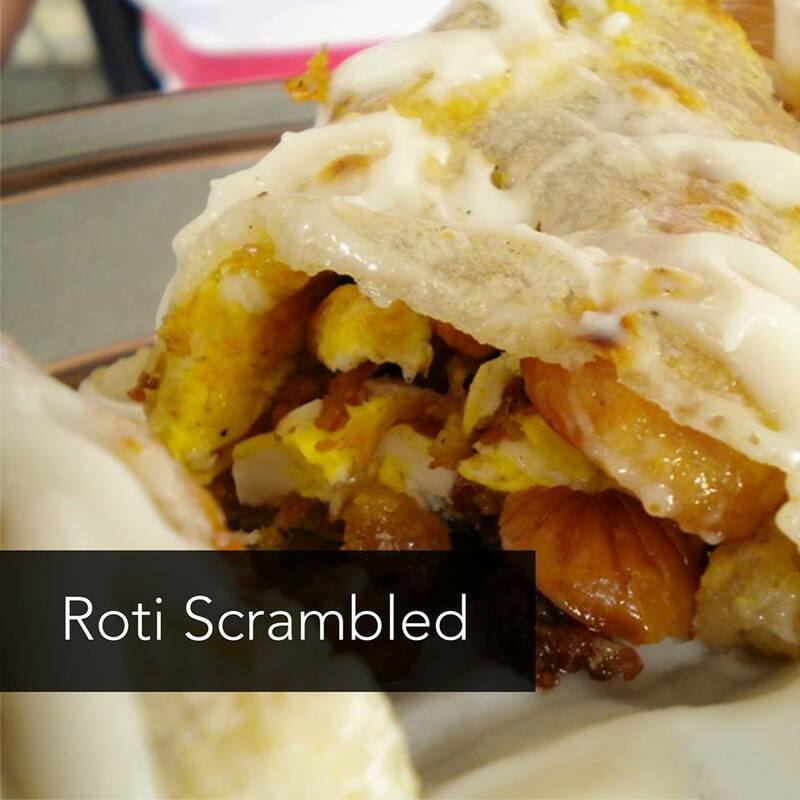 ROTI SCRAMBLED - Basically roti causing wrapped burrito-style around a mixture of minced chicken, eggs, and sausages with mayonnaise dressing. 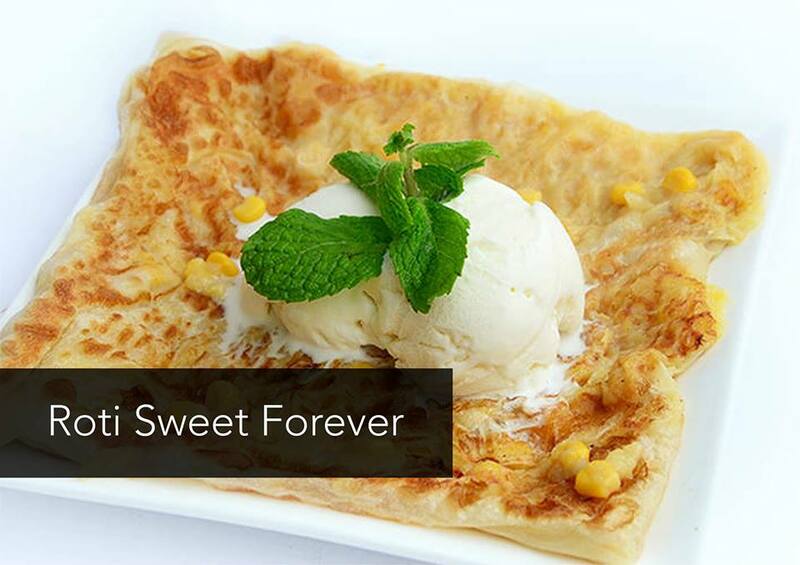 ROTI SWEET FOREVER - Roti kosong with bits of corn scattered within and then topped with two scoops of ice-cream and a sprig of mint. 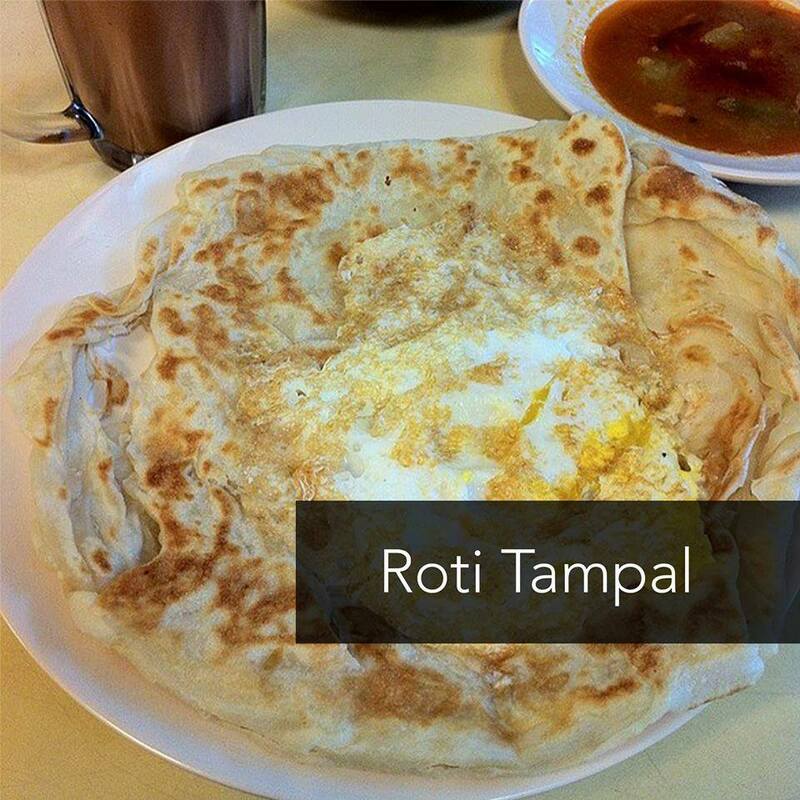 ROTI TAMPAL - Similar to roti telur, except that the egg is plastered on the outside. 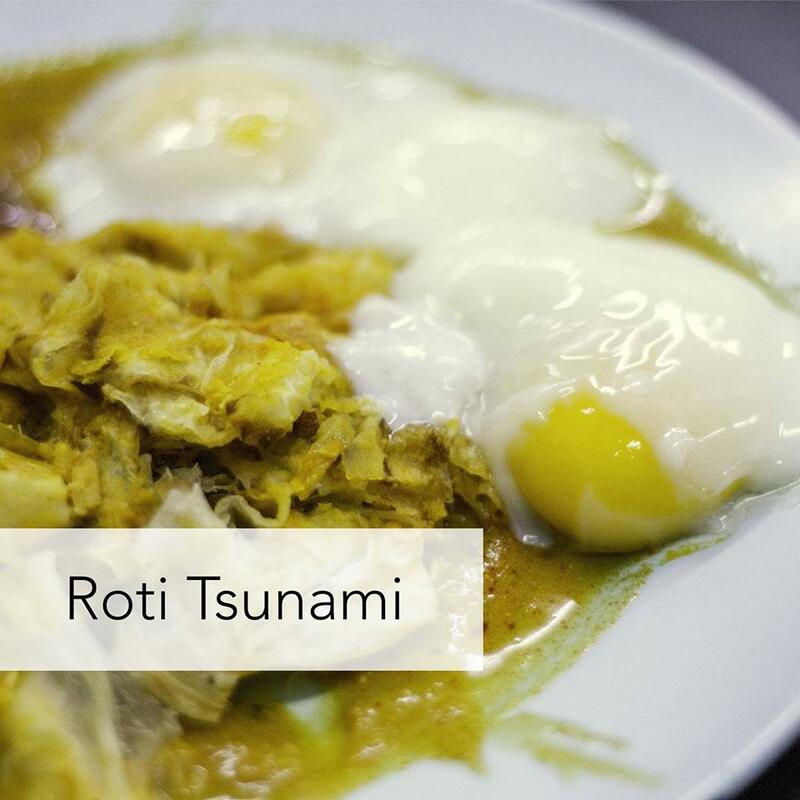 ROTI TSUNAMI - Levelling up from roti banjir, it is served with two soft-boiled eggs. 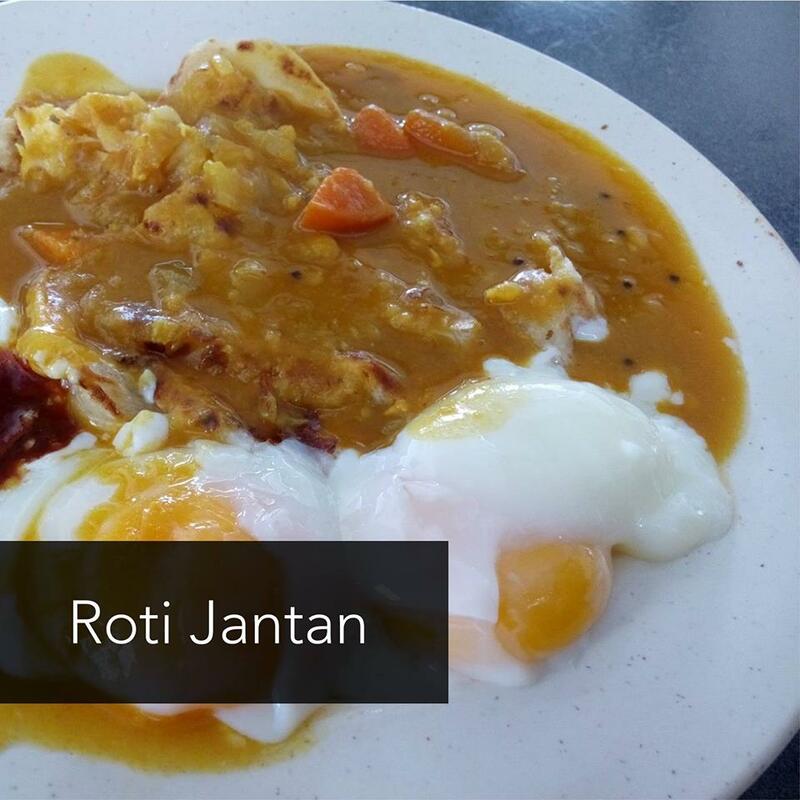 roti jantan. kikikh. 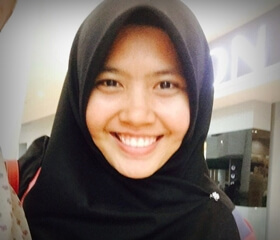 kat perlis ada roti dol. best.